In the Current global Market place small and medium sized manufacturers have an especially difficult time for competing. Lean manufacturing has emerged as a successful way for manufacturers to focus on the customer and increasing competitiveness and customer satisfaction. Lean Manufacturing is about removing and/or minimizing non-value added work activity from the manufacturing process. 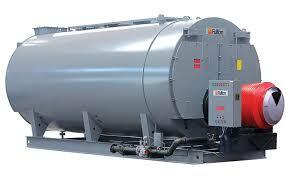 Company is a leading manufacturer of Boilers, Pressure vessel and heat exchanger in India. Since the inception in 1988, company has developed new product range in boilers. The Company wanted implements the work place management system to improve Productivity, and to develop the culture of improvement. 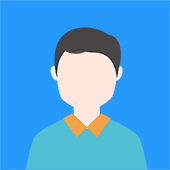 Daily Ignoring points like underutilized shop floor space, non value added activities in searching, waiting, unnecessary transportation while assembly and non moving inventory was adding the operation cost to the company. Lack of visual system and visual factory concept was leading to communication failure from Top Management to workers. All these resulted in work environment and culture which restricted the growth of organization. Two level committee was formed, steering committee and zone Leaders. Entire factory was divided in to different zones. Zone Leaders and sub zone leaders were identified to take the ownership of the respective zone. Step wise training was given to all employees on steps for Work Place Improvement and its benefits through a practical approach. We have implemented such project which improve the culture of company like 5-S workplace management, which improve daily communication from top management to lower level employee which include implementation of Gemba Board, which change the mindset set of employee and think about further improvement in daily activities which include Kaizen- A Continuous improvement.